My father-in-law was known to all as “Colonel”. He was an amazing man. People respected and admired him. He was born 04 Oct 1921 and passed away 06 May 2007. Harry received his bachelors degree from the University of Illinois. 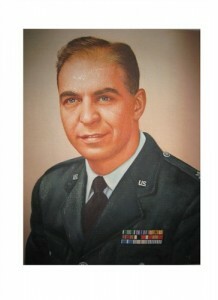 He entered the US Army in 1943 as a Sergeant and retired in 1974 as a Colonel from the US Air Force. In his 30 year carrier with the military Harry served during World War II, Korea, and Vietnam. The photo to the left was taken on the island of Espiritu Santo (east of Australia). Harry said that the navy dropped them off on the island with rations of orange marmalade and spam. Harry had one brother named Raymond. Ray was a radar mechanic for the 747th bomb squad. His “battles and campaigns” include: S. France, N. France, Rhineland, Central Europe, air offensive Europe and air combat Balkans. The photo on the right is of my father-in-law. From 1966-1968 he was stationed in Taiwan as a military advisor to the Taiwan Air Force. 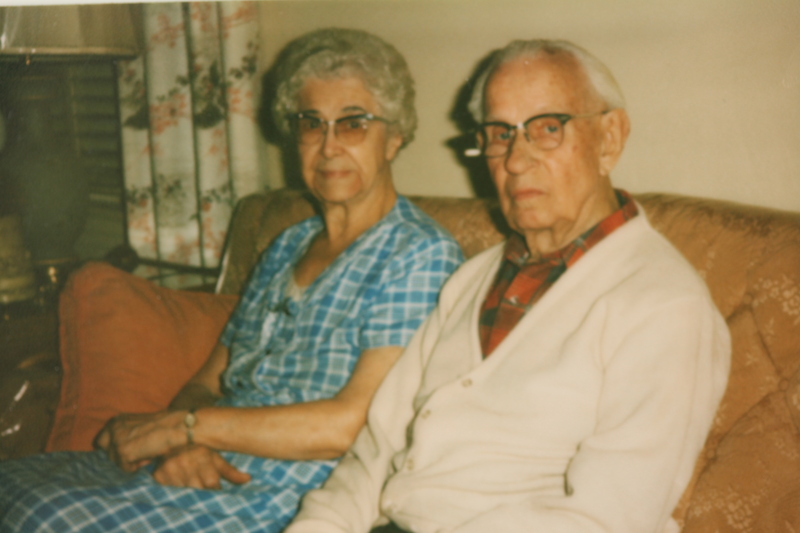 Last week I decided to go through some genealogy notes my mother and Aunt Agnes (Raymond’s wife) passed down to the Zeck family. Here’s a little family tree background: Harry’s mother was Florence Margaret Huff. She was born 17 Jul 1893 in Girard, Illinois and died 25 Dec 1983 in Universal City, Texas. 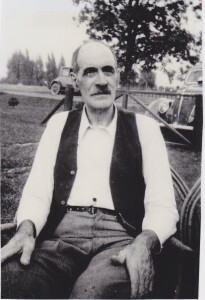 Harry’s father was Herman (Harry) Karl (Charles) Zech (Zeck). He was born 29 Jun 1890 in Danzig, Poland and died 16 Sep 1983 in Chicago Illinois. Harry Sr changed the spelling of the family name from Zech to Zeck. It is not known if he also shortened it. Harry Sr’s family immigrated from Poland to Sandusky, Ohio. Harry Sr was a manager for U.S. Sample Company. I remember my father-in-law telling me that during the depression Harry Sr would bring home fabric samples and Florence would make slacks and suits for Ray and Harry Jr. Harry Sr invented and patented a machine to glue and attach fabric samples on card stock for the fabric salesmen to use in the field. A button from Albert’s police uniform, click to enlarge. The Iroquois Theatre Fire occurred on December 30, 1903, in Chicago, Illinois. “It is the deadliest theater fire and the deadliest single-building fire in United States history. A total of 602 people died as a result of the fire.” Click here to read about the fire in an article posted at the Chicago Tribune. The stockyards fire of 1910 “stood as the single greatest loss of professional big-city firefighters in U.S. history until Sept. 11, 2001.” Click here to read more about this tragedy from the Chicago Tribune. In the Eastland disaster of 1915 844 employees and family of Western Electric Co. drown in an accident on the Chicago River. Click here for a link to the disaster from the Chicago Tribune. My father-in-law’s grandfather was a huge part of Chicago’s history at the turn of the century. Harry was born in 1921, he was 18 years old when his grandfather died. I wonder if he asked his grandfather about his experiences on the police force. During his career Harry served at Guadacanal, Okinawa, Korea, Japan, and Taiwan. State side he was stationed in Illinois, Michigan, Alabama, Oregon, Washington DC, and Texas. In the photo on the left Harry is pictured with his horse named Kit. He was a Second Lieutenant with the US Army (which became the Army/Air Corp. and then became the US Air Force). 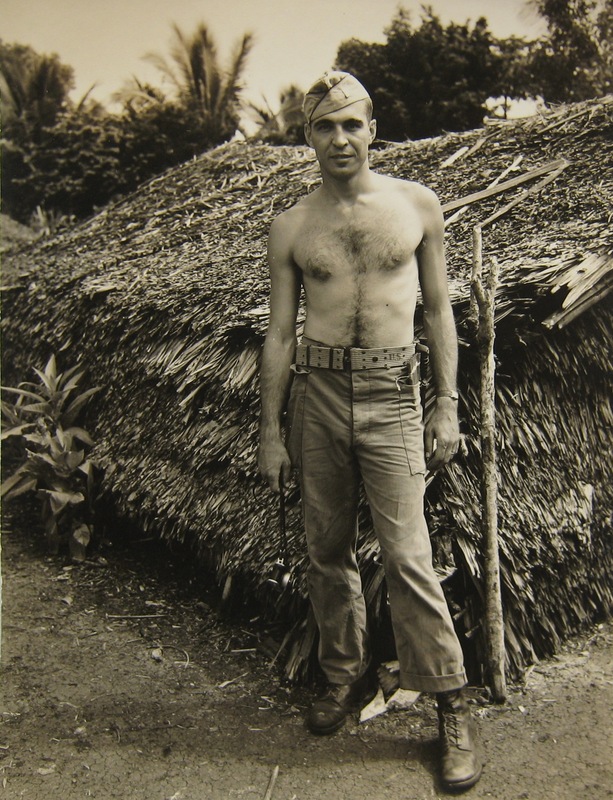 Harry quickly rose in rank, in 1945 he was promoted to First Lieutenant Captain Major in the Air National Guard. In 1951 he was promoted to Major, in 1953 promoted again to Lieutenant Colonel. From 1954-1956 he was stationed in Korea and Japan as Director of Personnel. From 1957-1962 the family were living in Washington DC, Harry was at the Pentagon in charge of Airman Procurement. He was then assigned to the University of Portland in Oregon as their Professor of Aerospace. 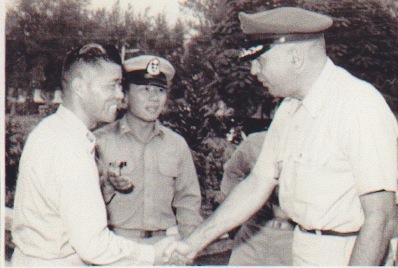 Upon returning from Taiwan as a military advisor (1966-1968) Harry was promoted to Colonel and was stationed in San Antonio, Texas. Harry retired from the Air Force in 1974. Harry and Yvonne have two sons; Frances Harry and Donald Arthur. They are grandparents to Don, Heidi, Ashley, John and Brian. They are great grandparents to Kayla, Nathan, Tyler, Samantha and Abigail. 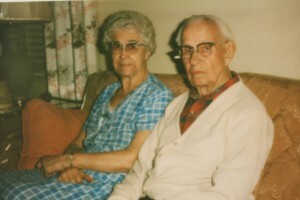 Harry and Yvonne passed away within two months of each other in 2007. I miss them every single day. Harry and Yvonne with their descendants. 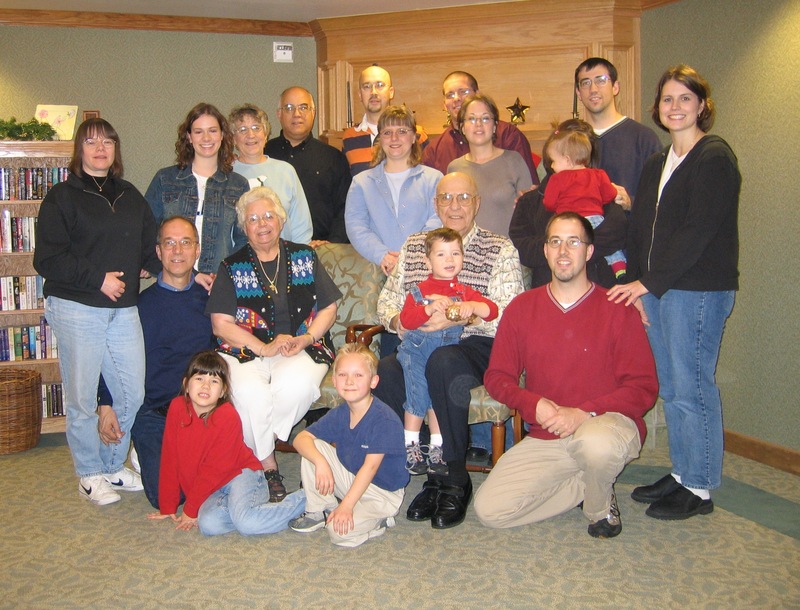 A week after my father-in-law passed away I was at Glenwood retirement center visiting my mother-in-law. A nurse’s aid stopped me in the hall and said she had something she wanted me to hear. She pulled out her phone and I listened to a recording of the Colonel sing “Oh, how I hate to get up in the Morning”. She said “Harry had two songs that he liked to sing in the shower in the the morning and I recorded them both”. I told her that I was so grateful to her for making these recordings, now Harry’s descendants will forever be able to hear his voice. What a wonderful act of kindness. Click the following link to hear the Colonel singing: Col Zeck Singing The Bugler Song 2007. Harry and Yvonne are buried at Willamette National Cemetery in Portland Oregon. 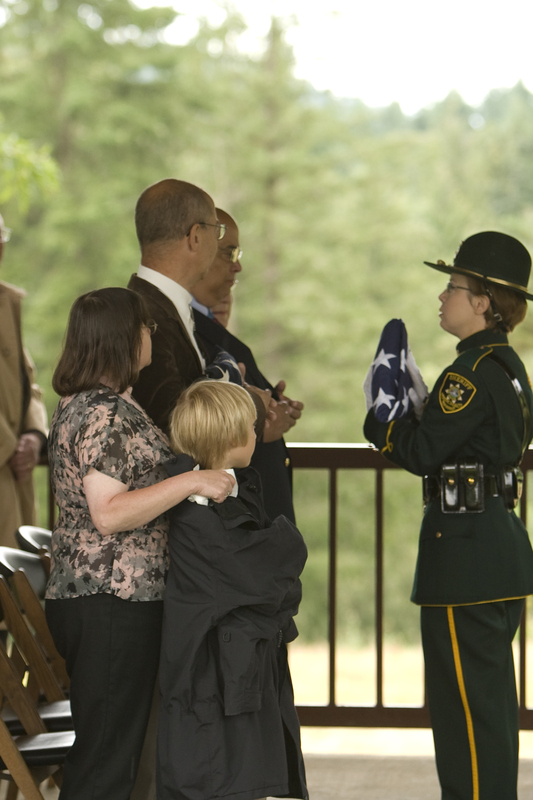 Our daughter Heidi is a corrections officer and honor guard for Multnomah County. 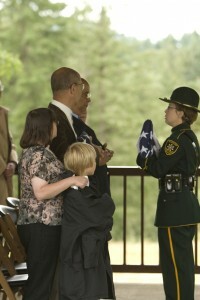 Heidi presented a flag to her father Don and to her uncle Frank at their parents memorial service. Frank suggested that Harry and Yvonne’s headstone should be engraved “Parents and Patriots”. Two words that describe Harry and Yvonne perfectly. 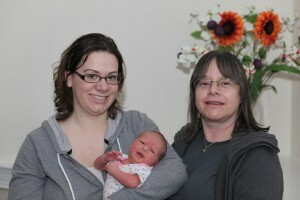 Abigail Rose was born on March 7th. It seemed like my daughter Ashley took her sweet time being pregnant! We were all so anxious to meet this baby. Abby was named after Matt’s grandmother Rose. 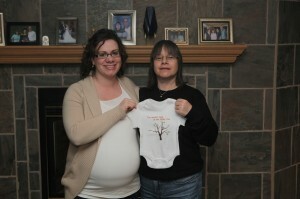 Ashley and Matt chose to be surprised and not learn the gender of the baby until her arrival. Now we can stock up on pink and purple clothes. We’ve been busy getting ready for baby’s arrival. 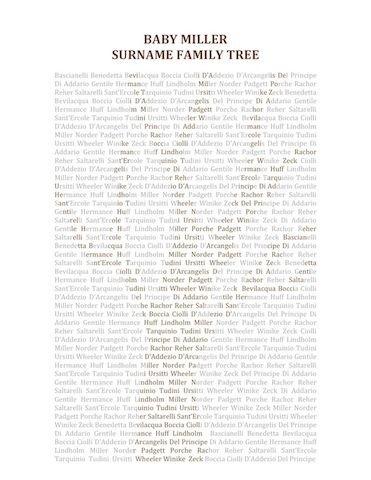 I described in Baby Miller Surname Family Tree blog post the genealogy album I made for Abigail. Don built Abby a co-sleeper. Ashley and Matt decorated the nursery. Matt’s father Walt sanded and stained an old dresser that used to belong to Ashley. Matt’s mother Shirley sewed Abby her Love Blanket. The blanket is made from the clothing of Abby’s ancestors. 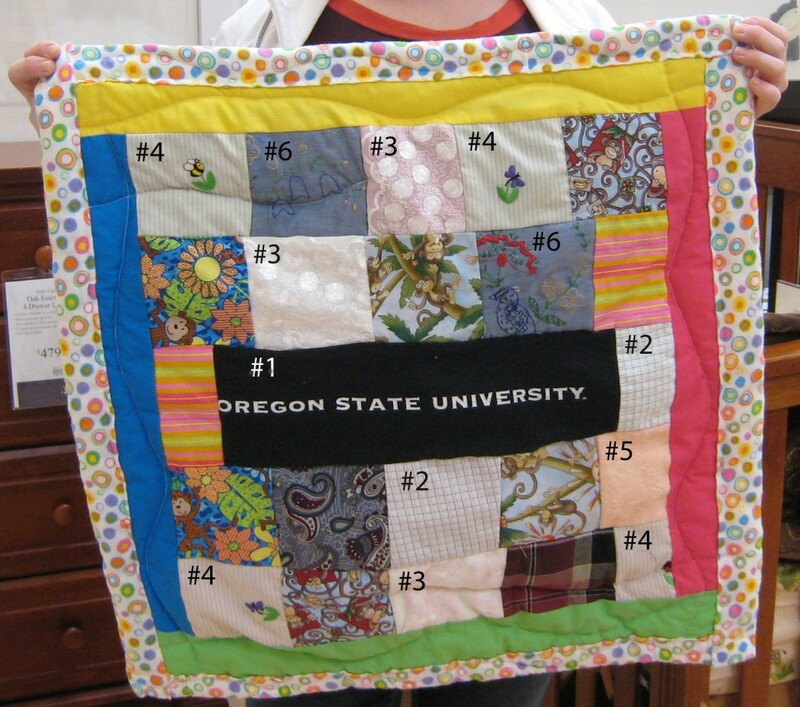 The squares labeled #1 (Oregon State University) is the college that Matt and Alicia (Matt’s sister) graduated from. 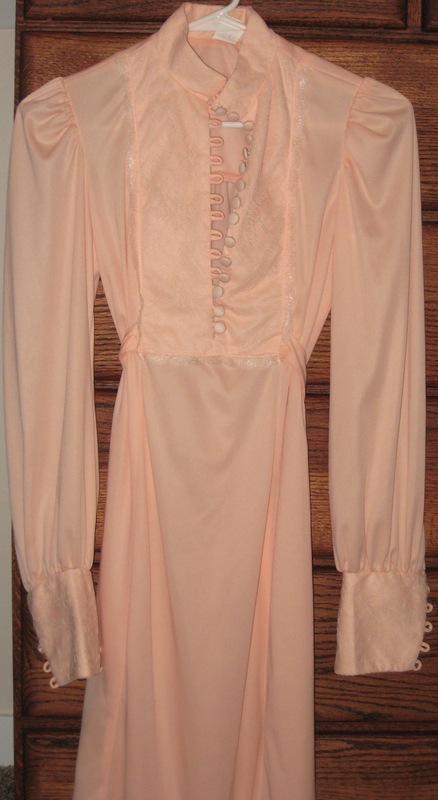 The material is from a shirt that belonged to Alicia. The checked squares labeled #2 are from the shirt that Matt wore to his wedding rehearsal dinner. The squares labeled #3 are pieces from the dress that Ashley wore to her wedding rehearsal dinner. The squares labeled #4 are of embroidered flowers and lady bugs from a blouse that belonged to my mother. 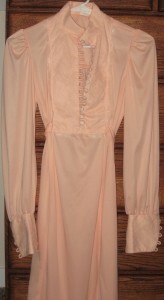 The peach lace square #5 is from my wedding dress. The squares labeled #6 are from a blue denim work shirt that belonged to Don that I had embroidered. Don and I met in 1975 and it was popular to embroider designs on shirts and purses. The rest of the squares are pieces from Matt’s ancestors. I will add specific details when I get them. Matt’s parents will be here soon to visit little Abby and Shirley will tell us more about the pieces when she arrives. Some of Matt’s ancestors traveled to Oregon on the Oregon Trail. I wonder if Matt and Shirley have any family stories they can share with Abigail about adventures on the Oregon Trail. Shirley’s gift is such a treasure. Every quilt tells a story. This quilt is the story of Abby’s ancestors. My great grandfather Pietro and Vincenzo Del Principe were brothers. Vincenzo had at least two sons who immigrated to the United States. Giuseppe Donato and Leonardo. 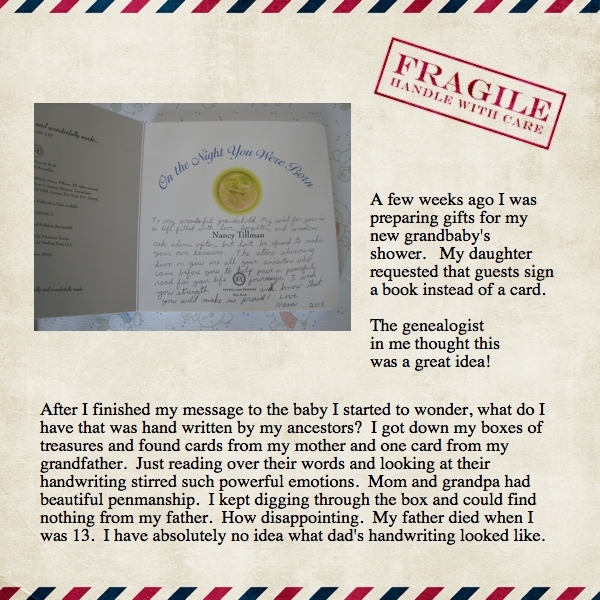 I wrote a blog post last August about a letter that Leonardo mailed to the Del Principe brothers upon hearing of grandpa’s brother Antonio’s death. I have since become acquainted with a descendant of Giuseppe Donato (Daniel). Her name is Catherin Shafer and she is Giuseppe Donato’s great great great granddaughter. Catherin is my 3rd cousin, three times removed. Click here to see a relationship chart between myself and Catherin’s grandmother (Patricia Mary Mucci). Giuseppe Donato was born 01 Apr 1863 in Pescasseroli, Italy. He arrived in the United States aboard the ship Hindoustan on 14 Nov 1891. He applied to become a US citizen on 11 Aug 1902 at the age of 36. In the 1910 census he was living in Clearfield county in Pennsylvania and his occupation was a coal minor. Daniel died on 22 Feb 1924 at the age of 60. The cause of death was Tuberculosis of the lungs. He is buried at St Catherine Cemetery in Sandy, Pennsylvania. Click here to see his death certificate. Liboria Laura Del Principe Mucci with Patricia who is the bride. Giuseppe married Marie Concetta DiAddezio and they had the following children: Nocola Vincenzo Loreto (James), Liboria (Laura), Vittorio (Victor), Leonardo (he died in 1929) and Angelo. Liboria is Catherin’s great great grandmother. She is pictured in the photo on the left and is in the dark dress. Liboria married Carmino Mucci. They had the following children: Nicholas, Michael, Carmen E., Pasquale, Anna Marie, Adeleo Edward (Skip), William, and Ethel. Carmino Mucci was also a coal miner. He died on 23 Nov 1917 at the age of 34. His widow Liboria was left to raise their 8 children. Carmino was killed in a coal mining accident at the Cascade Mine and Coke Works in Sykesville, Pennsylvania. Click here to see his death certificate. The cause of death is hard to read but it looks like he died from “shock following ?? blow chest with internal injuries. Accidental ?? ?? of coal”. I can’t even imagine the conditions an employee endures working at coal mines, especially at the turn of the century. Click on this link to see a map of the area, some historic photographs of the mine and details of the history of the mine. Click on this link and scroll to the “M’s” for a memorial to Carmino Mucci. Liboria would eventually move with her children, her mother Marie Concetta DiAddezio and her 3 brothers James, Leonard, and Angelo to Buffalo, New York. She married Phillip Ventura and had two more children Angeline and Olga. Liboria’s son Adeleo Edward (Skip) Mucci married Gladys Louise Scheu. They had three children, Ronald, Barbara and Patricia Mary. Patricia is Catherin’s grandmother. 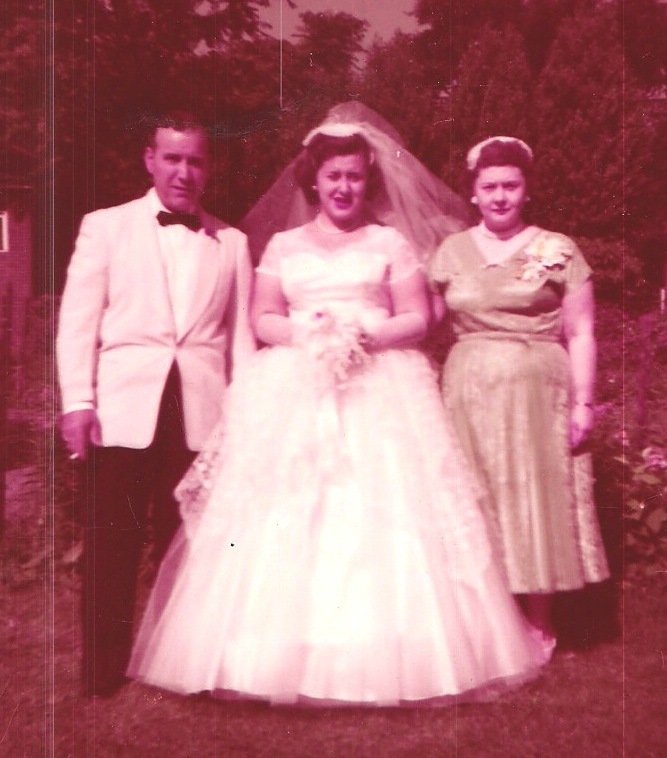 The photo on the left is of Catherin’s great grandfather Adeleo Edward (Skip) Mucci with his daughter and bride Patricia. 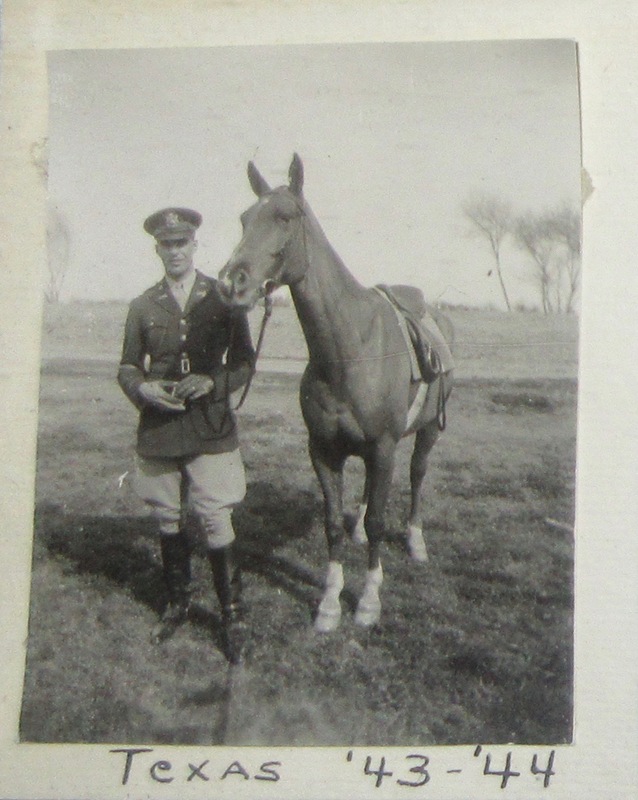 Thank you Catherin for sharing this valuable family history, documents, and photos. We had many family members who worked in the coal mines, a hard and dangerous way to make a living. I am in awe when I learn about our ancestors who lost their lives at such young ages. Their struggles helped to make life easier for future generations. They are our guiding stars! My cousin Toni sent me a copy of a letter that our grandfather wrote to her in 1980. Click here to read it Letter from Grandpa 1980. Thank you Toni for sharing this. Last weekend was my daughter Ashley’s baby shower. Her first child is due in 6 weeks. I’ve been busy this winter preparing surprises for the baby shower. I gave Ashley the baby cup and silverware she used when she was a toddler. Twenty nine years ago my mother gave me a card to celebrate the birth of Ashley. 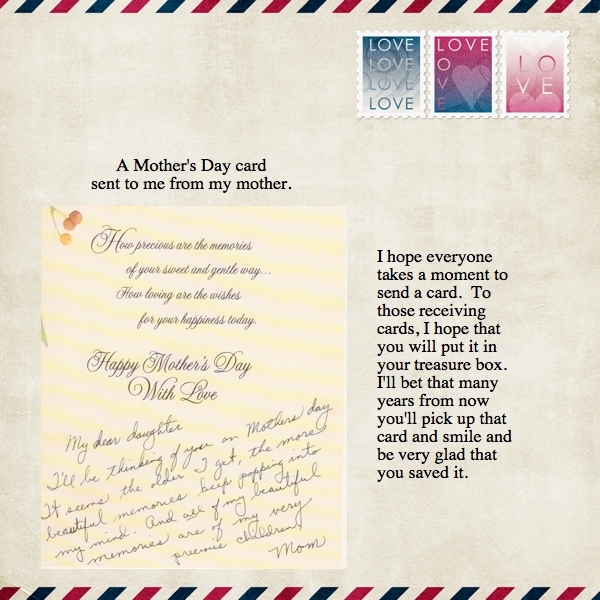 I kept that card and read it often. I bought a new frame for the card and gave it to Ashley. The card now sits on the baby’s bookshelf. I gave Ashley the rocking chair that my mother bought for me so Ashley can rock her sweet babies to sleep the same way I rocked Ashley to sleep. My favorite gift that I gave to Ashley was Baby Miller’s genealogy book. It includes photographs of Ashley and of her husband Matt from the time they were babies through college. There are also photos of Ashley and Matt from their wedding and Ashley’s pregnancy. Pages are ready for photos of the baby shower, the baby’s arrival, and the baby’s baptism. And of course the album includes photos of Ashley and Matt’s ancestors. The photo above is on the second page of the baby’s album. This is a clever idea that I got from one of the genealogy blog posts that I follow. 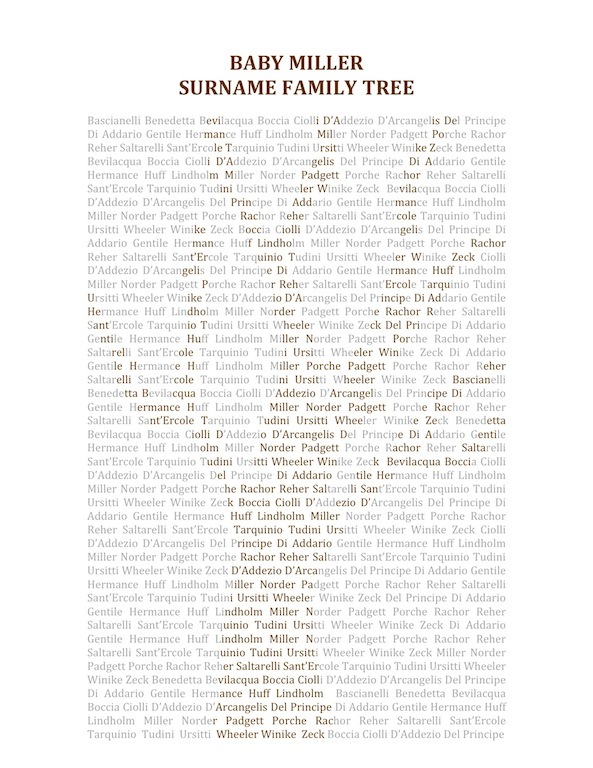 I exported a report from Ancestry.com of the baby’s family surnames. Then I copied and pasted the names over and over in a word document. I printed the document and Don took a pencil and shaded in the tree. Back on the computer I changed the color of the tree to brown in the word document. I saved the file as a jpg and printed it! Now for a little down time as we wait out the next six weeks. We don’t know if the baby will be a girl or a boy. Our little bundle of joy is already showered with love and we can’t wait to meet her (or him)!